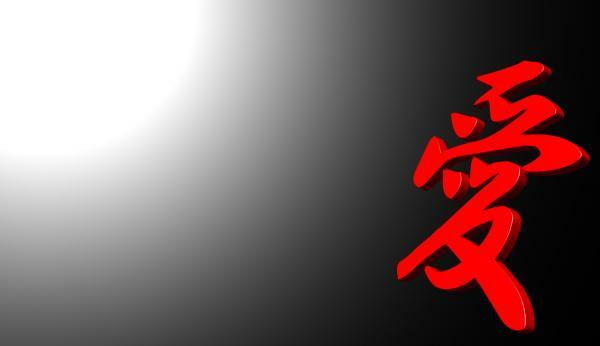 I have published the picture material hinese character[love]. Image material free download! ! A design of Mr. John Blau Skebong which won the championship at a contest to select a national flag as 1979 by a general open call for participants. As for the blue, the very large South Pacific, the yellow circle express a full moon with the role that is important to Palauan people. Palau is under a Japanese mandate before the war, and the full moon indicating the friendship is designed in pairs with the sun of the national flag of Japan because feelings to Japan were good. It is put to the flagpole side that the full moon of the Palauan national flag is not the center when it show it in a good balance when a flag streamed, but because it is rude, there is the way of thinking that I took off the center on purpose for another view in Japan and expresses the undemonstrative heart of Palauan people. The flag which the Danish national flag was called Dannebrog, and pictured white Scandinavia cross in Akachi. Even if the Voldemer second fell in the middle of the Estonian military and a fight of Ryundani in the legend from the sky in June, 1219, it is told by Emperor of Roman Empire even if a situation reverses, and a place given this flag, the fight that had a hard fight till then won. This flag was good in Scandinavian countries, and it was with the basis of used "Scandinavia cross". I am said to be the world's oldest national flag in a used national flag along with an Austrian national flag and a Scottish national flag now. When the government and the navy use it, I make the fried food side a swallowtail cap type. The reason why the center of the Scandinavia cross slips off on the flagpole side is that it is central and shows it when I had a swallowtail cap type. It is an approximately equal shape, but uses the red that a naval ensign has darker. The national flags of Romania are blue, yellow, and a red vertical tricolor under the democracy after 1990. It is said that blue expresses empty, yellow expresses a mineral and grain, and red expresses national courage and struggle for independence. Moreover, it is said that blue and red expressed Moldavia, yellow expressed small Walachia, and red expressed great Walachia. Although there is a close resemblance between the national flag and Chad's national flag also including a formal aspect ratio, the national flag of blue of Chad is deeply darker a little. The national flag (Flag of Tunisia) of Tunisia is enacted in 1831. A central new crescent and star were a symbol of longtime Islam, and were also a fortunate symbol. Red colors are the vestiges of the resistance influence of the Ottoman Empire age. Tunisia aged 1881, and became a colony in France and the Republic of Tunisia was materialized through the Tunisia kingdom in 1956 in 1957. On that occasion, what was used for the former independent time was adopted again. The design is changed slightly in 1999.